Great Web Stats At A Glance | Brand On! 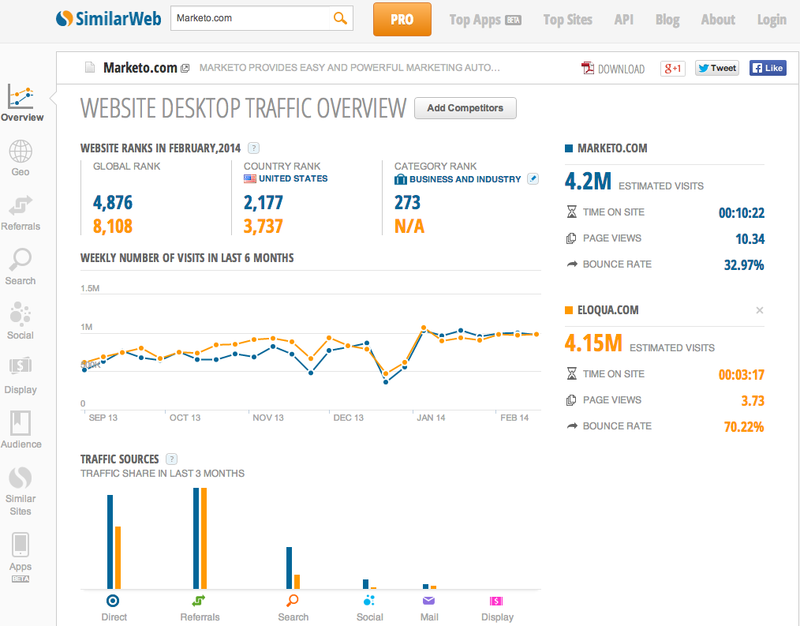 SimilarWeb gives you a wealth of information about a website’s visitors. Look at your company, a client or a competitor’s site, or compare several side-by-side. You’ll also get a snapshot of similar sites and a neat “topic cloud” that will give you a glimpse on the most important topics for a given site (great for SEO purposes).